Retired doctor Anne Turner, 66, is the latest in a line of Britons choosing to end their life with the assistance of the Dignitas clinic in Switzerland. The controversial charity says it has now helped more than 40 people from the UK to commit suicide. The first, in January 2003, was Reg Crew. The former docker, who was 74, had suffered from motor neurone disease, a progressively disabling illness that is fatal is every case, for more than four years. Although there is a drug that can hold back the progress of the disease, there is no cure. The symptoms are gradual paralysis - the patient lose the ability to move, even though his or her mental faculties remain completely intact. Eventually, the disease affects the ability to breathe. Before drinking water laced with barbiturates, he told a nurse at the Zurich clinic: "I want to die today." Earlier, Mr Crew had told BBC News: "I don't want to go on living like this. I have had enough." But he no longer had the ability to commit suicide independently. 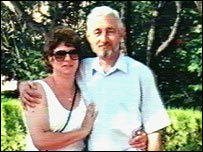 Mrs Win Crew, who was with her husband when he died, described her husband's death as "dignified". Three months later, Robert and Jennifer Stokes, from Leighton Buzzard in Bedfordshire, swallowed lethal doses of barbiturates at a Zurich flat run by Dignitas. Mr Stokes, 59, suffered from epilepsy and his 53-year-old wife from diabetes and back problems, but neither was thought to have been terminally ill.
Mrs Stokes' sister, Dorothy Killackey, told BBC News: "We are very surprised. Everything seems to have been arranged, the funeral and everything. "It was obviously very well planned but we had no idea." 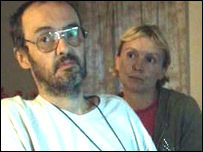 In May 2003, another motor neurone disease sufferer, John Close, 54, died at the Dignitas Clinic, with his family at his bedside. The former musician, of Willen, Milton Keynes, pressed the plunger himself to inject the barbiturates that ended his life. His sister Lesley said: "John decided in January that he would like to end his life at some point because he had MND and had an increasing sense of helplessness and dependence on other people to provide for his everyday needs. "He talked about committing suicide by his own hand but was afraid of failing and waking up to find he was being stomach-pumped." She and his other sister were holding Mr Close's hands as he died. Diane Pretty, who was also in the advanced stages of motor neurone disease, refused an offer to die at the Dignitas Clinic so she could challenge the UK's laws on assisted suicide. 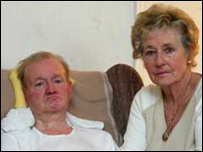 Dignitas wrote to Ms Pretty, from Luton, Bedfordshire in December 2001 offering her an assisted suicide. The mother-of-two had asked the director of public prosecutions to rule out prosecuting her husband if he helped her commit suicide. She had argued the condition had impaired the quality of her life so badly that she wanted to be able to choose when to die. But her request was denied, which prompted her to take court action. 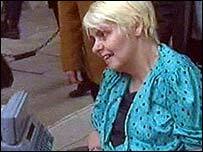 Her argument that she had the human right to choose when to die was rejected at the High Court and by the Law Lords. And the European Court of Human Rights rejected her claim that the UK courts had contravened her human rights. She started suffering breathing difficulties just days after she lost the case and died of natural causes within two weeks. The 43-year-old was paralysed with motor neurone disease when she died.